Before you put on a shirt, why not question the mundane? 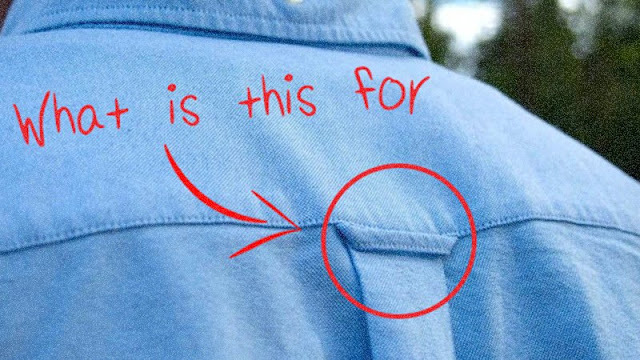 At the back of your shirt, where the pleat meets the yoke, there happens to be a small loop. Ever noticed? Ever wondered what it’s there for? No? Well, do notice it now. It’s there for a reason. Back in the days when there were no wardrobes, these loops were used to hang a shirt, without getting wrinkles on it! The trend started with the US made Oxford button down shirts in the 1960’s and became popular with the Ivy League. The name given to it by the makers was the ‘Locker Loop’. Later, however, it began to be called fairy loop and fruit loop. Girls would pull the loop of the guys they found cute, which would sometimes result in the shirt ripping off. Many would have the loop removed the moment they got the shirt home. Phew, that bad. The trend was picked up by various other brands and continues till today. But since the arrival of wardrobes, locker loops serve no other purpose other than as a decorative design. Thankfully though, there’s no more yanking.